The ProGrip Surface Mount Tie Down Ring is a surface mount anchor with d-ring application ideally used to act as the foundation in tie down technique while moving cargo in your truck or trailer. Constructed with zinc plating to help prevent corrosion in extreme weather conditions. Sturdy tie down rings feature a break strength varying on size; surface mount usable with most bolts and screws. 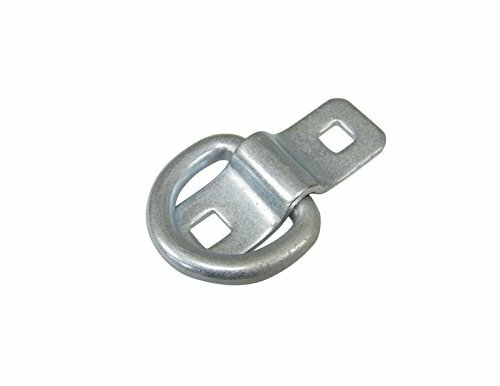 Easy to use and allow ease of mind that your cargo is secure during transport; simply bolt surface mount to wanted area and use d-ring application with hook, rope, or bungee to secure cargo (bolts not included). View More In Tarps & Tie-Downs. If you have any questions about this product by Progrip, contact us by completing and submitting the form below. If you are looking for a specif part number, please include it with your message.